The pressure group Generation Rent has joined forces with other critics of the private rental sector to demand an end to Section 21 evictions and further limitations on the new three year tenancies favoured by the government. Writing in the New Statesman magazine, Generation Rent director Dan Wilson Craw says the government’s current consultation period on proposed three year tenancies is the ideal time for critics of letting agents and landlords to have their say on tenants’ rights. 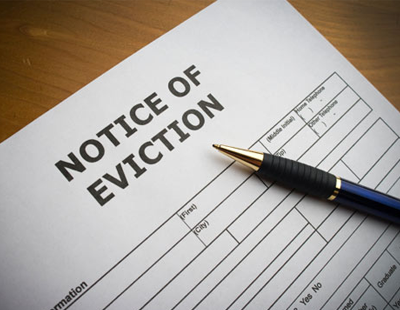 “A three-year tenancy with limited grounds for eviction should at least give tenants greater confidence to complain. But that’s not enough. They should also have the knowledge that, so long as they meet their legal obligations, the home is theirs. If landlords can evict a blameless tenant, the rental market will keep failing to provide the certainty we associate with home. “Ending Section 21 would still allow evictions if a tenant breaks the contract. If a landlord wants to sell, that’s fine, but they should sell to another landlord, with the tenants staying put – or to the tenants themselves. If they want somewhere to live, they can rent. “The government’s consultation is a huge opportunity to make renting a genuine alternative to owner occupation. The English Housing Survey reports that 2.7m private renter households expect to buy eventually – yet fewer than 1m have more than £5000 in savings towards a deposit. That leaves a lot of people who will be denied the stability they crave for years to come. By abolishing Section 21 the government would give renters a stable home now” he adds. Craw says his Generation Rent pressure group is therefore teaming up with the London Renters Union, the New Economics Foundation, and ACORN - the latter being a pressure group which has held placard-bearing protests outside letting agents’ offices - in order to campaign for the abolition of S21. You idiot Craw. Do you not realise that such policies are deterring landlord investment and leading to rent increases? Craw is either completely clueless or has no interest in the implications of such a policy .. maybe he can publish how he proposes government will deal with rocketing homelessness and rent rises if such policies ever came in? Want a policy to make landlords exit on mass here it is! Clueless. Either his batch of whacky baccy was off or he's completely lost the plot! What I have said before and will say again is that those who propose these ridiculous ideas should have to pilot them for at least 5 years before trying to force others into unworkable ways! On the 3 year tenancies, tenant 4 months into a 12 month tenancy phoned in last week to give notice because he's buying a house, got a bit upset when I advised 8 months to go! Nobody can plan 3 years ahead! Unbelievable. This man doesn't have a clue. By restricting a Landlord to only offer the property for sale to another Landlord or the tenant, this will restrict any one else buying for owner/occupation. Does he really think Landlords are going to continue to buy or keep hold of their existing properties if this kind of legislation is introduced. The less private Landlords the less property available and the Government are unlikely to make up for the shortfall. Its not the landlords problem to find a tenant a house, its the local councils. Why should the landlord continue to provide for the tenant even if they default how about the landlords interests its all about the tenants. The landlord makes considerable investment on properties as a working business whilst the councils continue giving properties to people who do not need council properties and who prolong their stay just so they can try to buy them later on in life all this is stupid yes protect the tenant and their rights but you can not expect the landlord to do the governments job Especialy when the goverment dont help the landlord to buy the property so they use their hard earned cash which they have saved for many years so they can retire later on. And don't forget to kick every landlord in the nuts for their despicable treatment of these poor tenants who are as pure as the driven snow!!! What happens to the tenants stability in the months leading up to the end of a 3 year tenancy. The likelihood is the landlord will probably want them out if they haven't been looking after the property or regularly late with the rent. I have 3 tenants who have been with me for more than 6 years who in theory could be given notice at any time. They are not worried about it because they are good tenants. Good idea to "scrap the section 21"..... while they're at it why not improve things further by abolishing rent as well? Instead the LANDLORD could be made to PAY THE TENANT FOR LIVING IN THE PROPERTY! Better still, not just pay the tenant instead of the boring, outdated traditional idea of charging them rent, but pay all card carrying members of the Labour party a little more to reward them for their allegiance to that noble institution. Joking aside, I'm not surprised at their ignorance in demanding an end to any sort of "no fault evictions". The s.21 has been under threat for sometime now, and already been significantly undermined. If the government were to even seriously consider - let alone actually implement - an end to the s.21 with nothing comparable (or preferably better for the landlord) to replace it, then I'm fairly sure we'd immediately serve s.21 notices to ALL of our tenants while we still could, then on gaining possession sell all of those properties for any reasonable price before the property market totally collapses and is plunged into years of slump. We'd then get out of the whole damn mess and start something new in a more sensible country (almost certainly in the Far East, actually). Without the s.21 or its equivalent, we'd be back to how things were before the Property Act 1988 when ALL tenants were in effect "statutory" or "sitting" tenants and properties let to them were worth approximately 1/2 to 1/3 of their open market value (as they still are for most tenancies for any reason outside the AST/SPT regimes). All the comments here are of a retalitive nature and that's quite understanding, but what we as Landlords need is a formal defence, arguing by the Landlord supporting groups such as NLA/RLA and such. Failing which the likes of Generational Rent, Craw and Co who do have the government ear will win the day. If you are not members of one of the above associations, join today and lodge your concerns with them so they know what they need to be doing and have the finances to do it. I have been letting for the last twenty years. I have never had any contact with these associations. I don't know who they are and I am sure they have little actual use. If I join up then I would like to know what happens to the membership fee first. The UK is rammed full of associations which do little more than collect fees to spend on running themselves. If you want me to join then prove your worth. Letters to local MPs count for nothing because they are not more important than their particular belief ideology. Letters to councils will be laughed at. They are just creating their own problems to pay themselves from rates bills. Quite honestly, if these associations need me to tell them what they need to be doing they must be absolutely hopeless. All they need do is read the pages here. I can give them a useful tip. Keep clear of most newspapers, THE BBC, and anyone fitting the description of "labour". Can someone in Government look at the number of houses let prior to the Housing Act 1988/96 under the 1977 Rent Act. Then look at how numbers have risen without the risk of having secure/protected tenants in your property? The rental market has checks and balances a plenty at the moment, both sides having protection where it matters. If councils want tenants to have secure homes, they should build them and stop selling them to the occupants. I rent, I have zero hope of owning my own property and no-one is going to sell me a hugely discounted home just because I have lived there and paid rent for a number of years. I move every 3 to 4 years, sometimes because the landlord wants to sell, sometimes because my circumstances change. It is impossible to predict the future even three years hence! Yeah must be on something as he is definitely away with the faries !! So us landlords who have used our hard earned cash to build up a portfolio cannot decide who to have as a Rent paying tenant or decide when to sell? Madness. Keep to 6 mth AST. Or why don't we all just sell up and let the local authorities provide the homes, yes that's what i am going to do. With pratts like this chap and clueless government Muppets its now the time to get out of this business me thinks!?! Watch the homeless situation get worse! This is serious talk. Agree completely. I think Craw is a tenant's worst enemy. His crackpot ideas are going to result in such homelessness it's going to be a National disaster (if Govt listens to him that is). 3 year tenancies and no eviction powers or right to sell? Bloody hell. What next? Should we provide a personal boot licker too?